Mr. Inder P. Singh has over 25 years of experience in the Information Technology and Banking Industry. He is the President and CEO of his company; NexTrends Solutions Inc. that provides next level margin improvement, business process design, security, automation and consulting solutions. He also advises prominent venture capital companies on investment opportunities, due-diligence efforts and serves as an advisor to their portfolio companies. 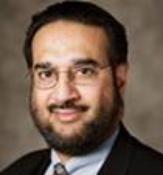 Until April 2004, Inder was Executive Vice President and Global CIO of Visa International with responsibilities to create the next generation payments processing technology and to oversee integrity, interoperability and security of Visa’s technology and processing infrastructure. Before Joining Visa, Inder was president, CEO and co- founder of EXLServices, which offered outsourcing services for customer care and business processes. EXLServices was sold to Conseco Insurance. EXLServices is now publicly trading under the ticker symbol EXLS on the NASDAQ. Previously, Inder has served as COO for Card Capture Services, owner of the third largest ATM network and now a part of E Trade. Inder served in various senior executive management positions in Business and Technology at Bank of America and Seafirst Bank. While at Bank of America, he was Executive Vice President of Consumer Banking Product and Delivery Support, Executive Vice President of Payments Strategy and Interstate Banking and Executive vice President of Global Wholesale Technology. Inder holds a Masters degree in Industrial Engineering from the University of Washington and a BSEE from Punjab University.